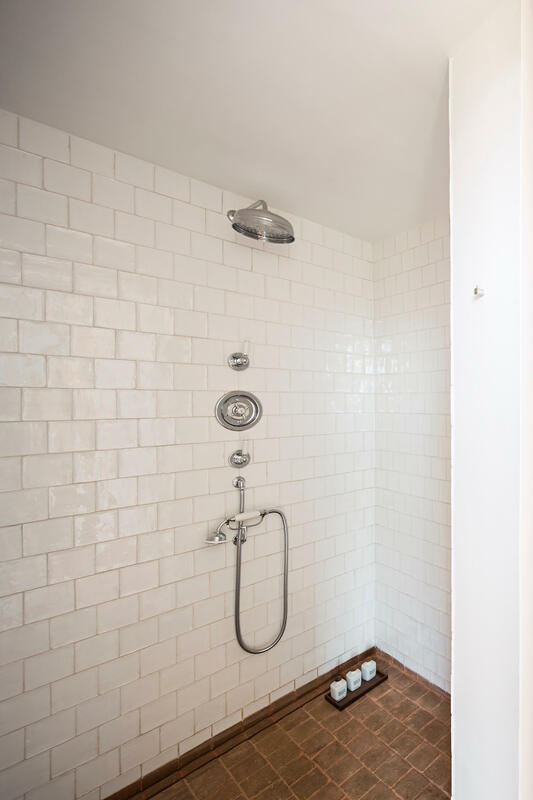 There is no denying the power of an uncluttered space. 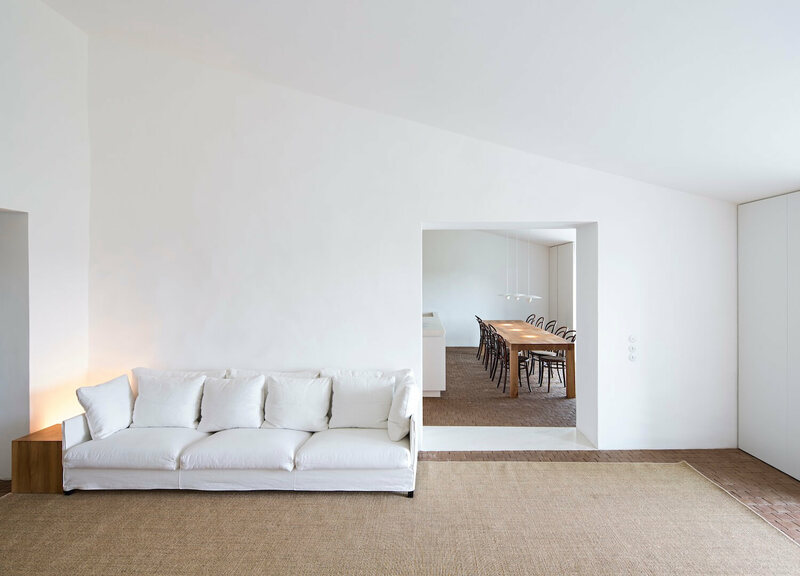 Simplicity in interior design is not only beautiful, but being in a light, airy and stripped-back room is also incredibly peaceful. 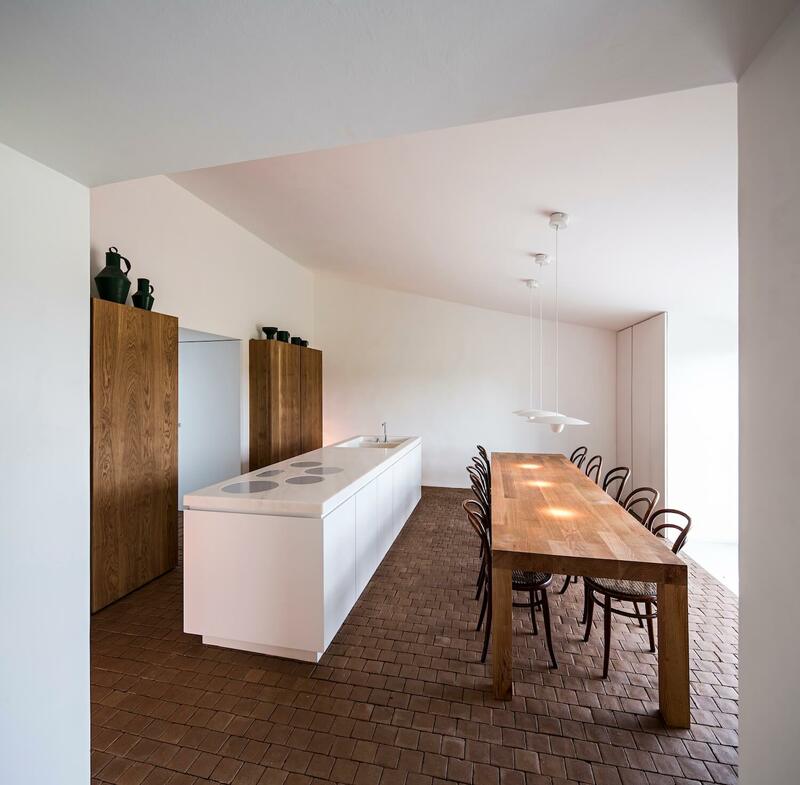 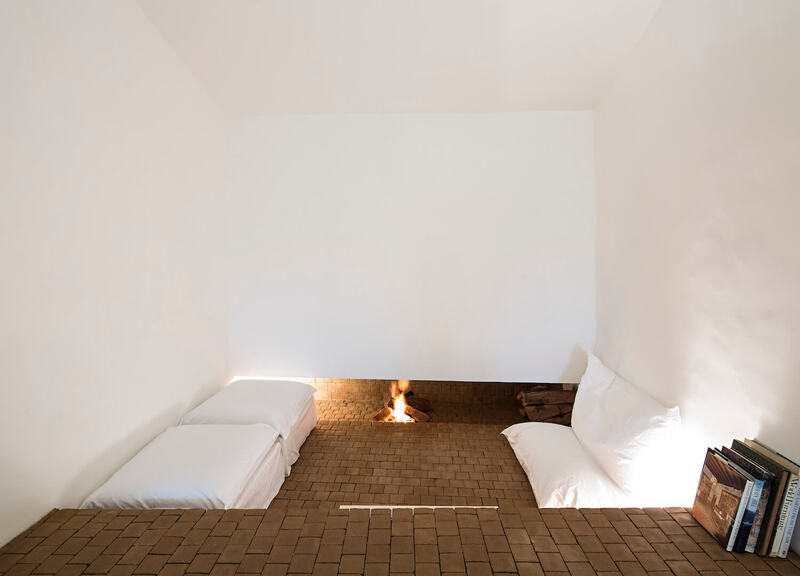 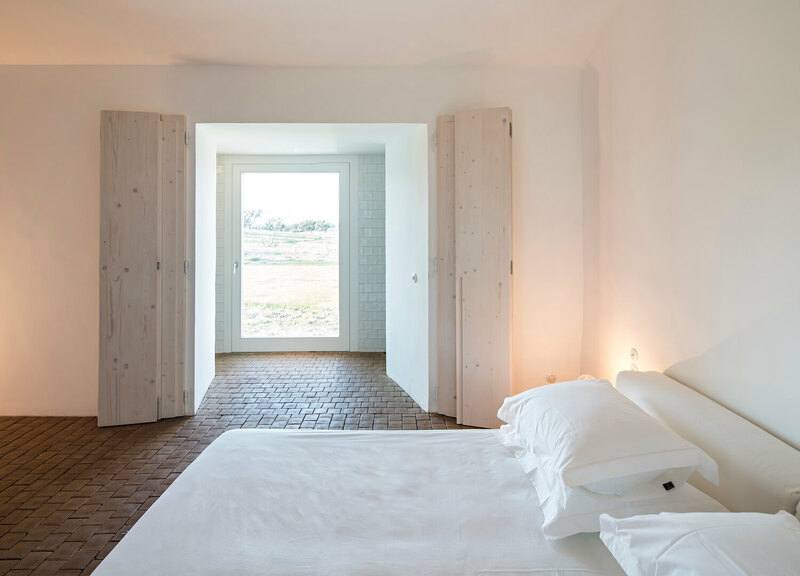 This certainly seems to be the way of thinking at holiday lodging Casa no Tempo in Portugal’s Alentejo region, where a clean, white and yet raw interior warmly greets travellers seeking an escape in nature. 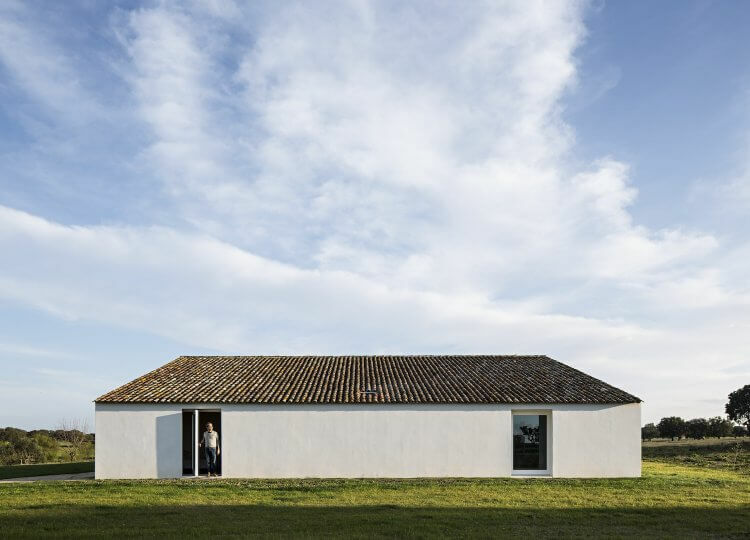 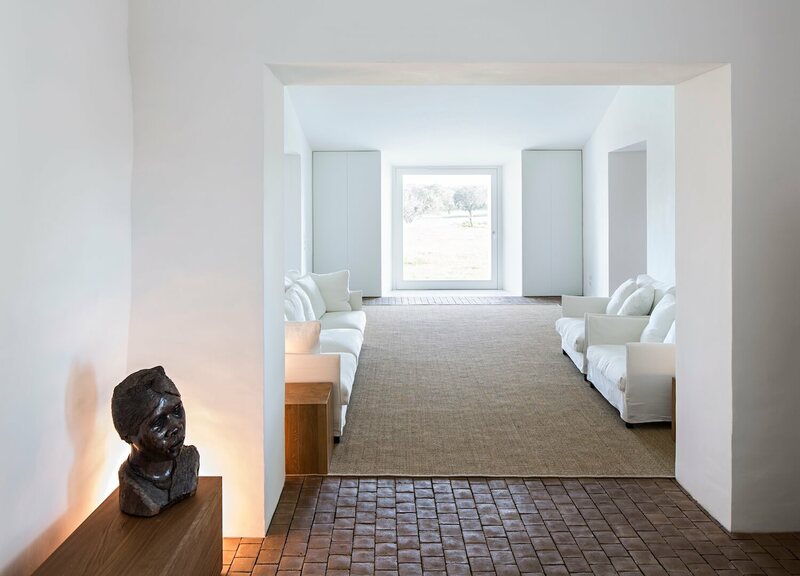 In the lesser-known Portugese holiday destination of Alentejo, owners João and Andreia Rodrigues have taken a house that has been in their family for generations, and transformed it into an understated utopia where history, design and nature collide. 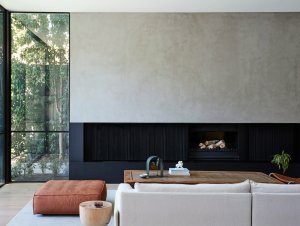 The simplest of palettes presides at Casa no Tempo, with white fabric lounges, clay tiled floors, natural rugs and the odd peppering of black showcasing the house’s sense of vastness and affinity with its natural surroundings. 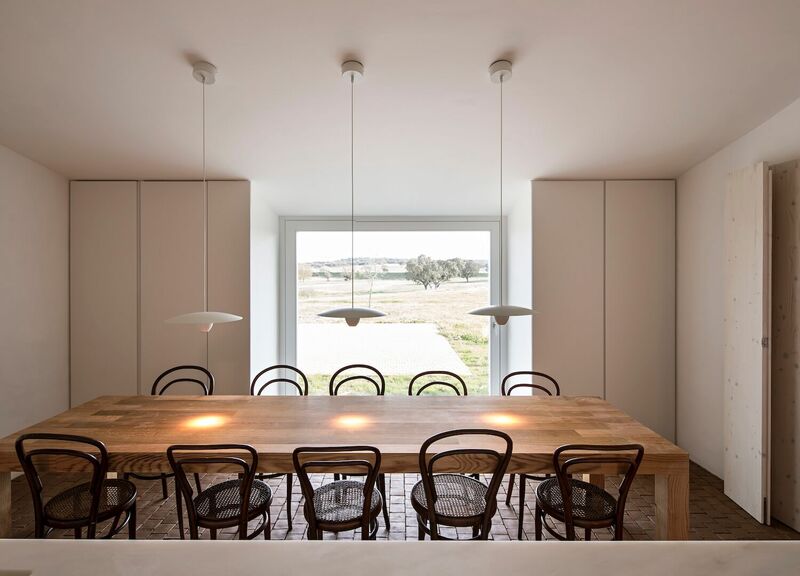 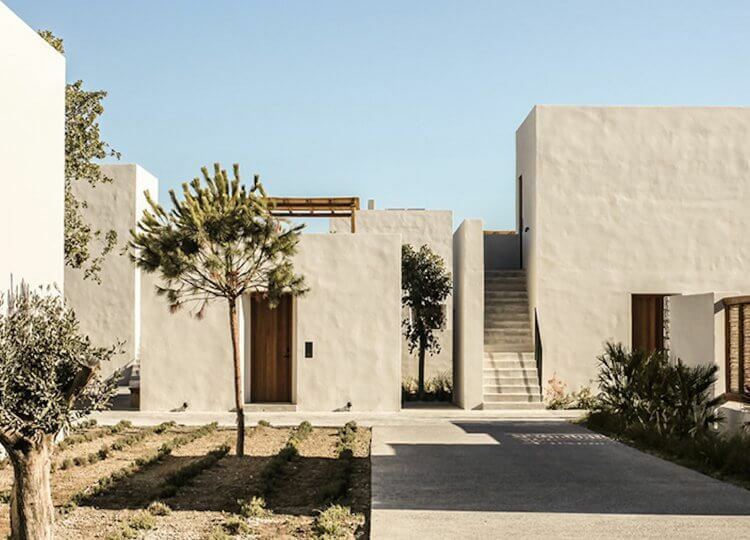 In renovating this historical property, highlighting the environment was one of João and Andreia’s biggest priorities, and architect and family friend Manuel Aires Mateus has skilfully executed a design in which the outside seamlessly flows within. 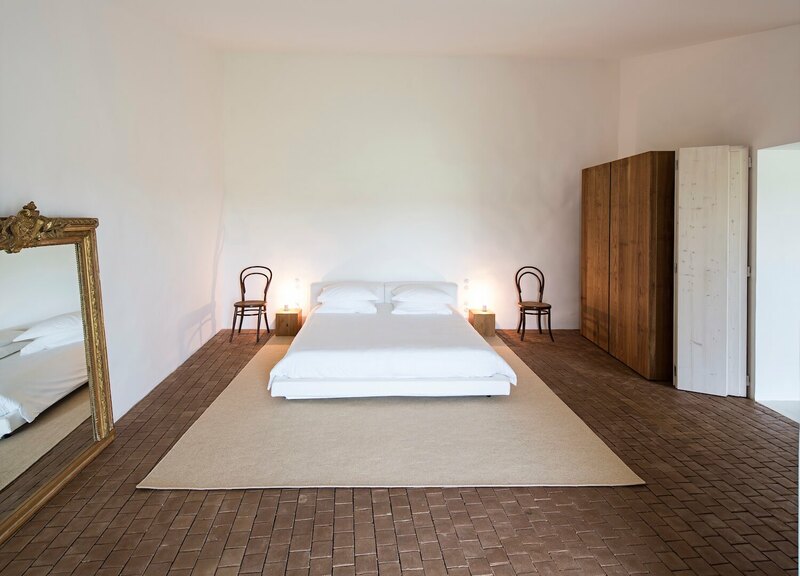 The locally-made wooden furniture and clay floors create the sense of being at a rural retreat, while at the same time, walk-in showers in the bathrooms, premium Davide Groppie lights, furniture by Living Divani, luxury bedding, Lefroy & Brooks water taps and heated floors remind you that you’re somewhere much more special. 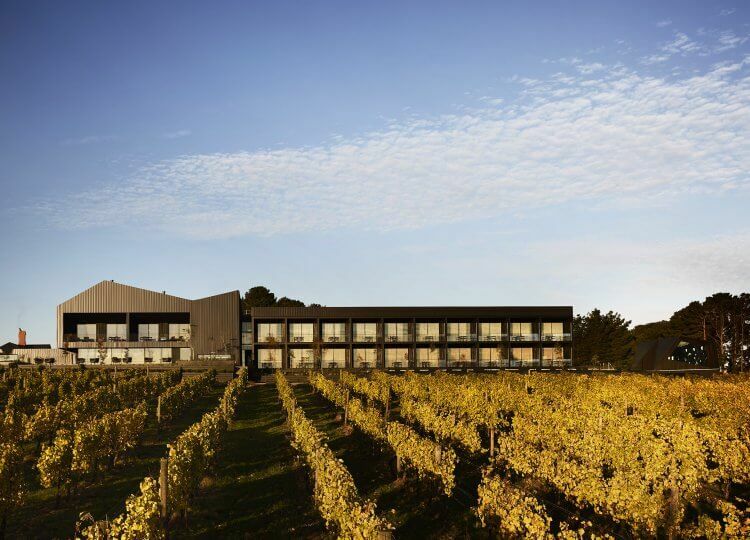 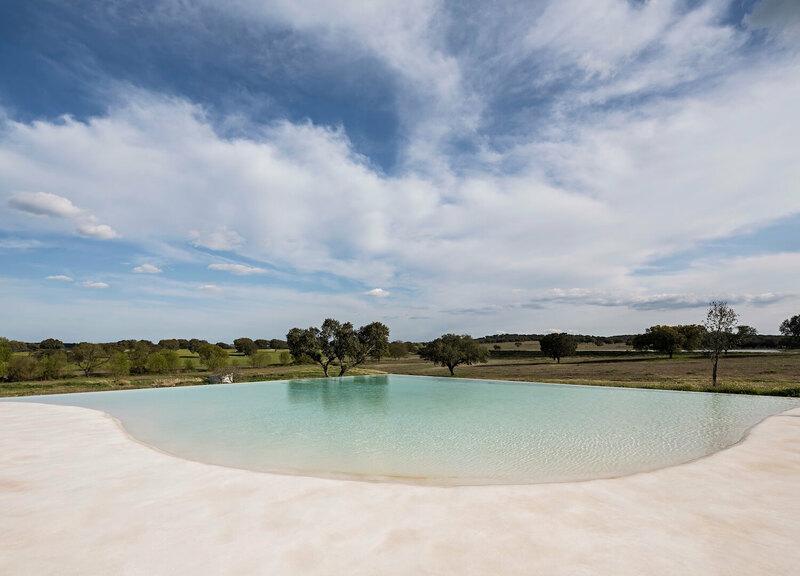 Every every element of Casa no Tempo has been designed with the idea of relaxation in mind, so whether you’re outside lounging by the 400 square-metre swimming pool, or inside nestled up on the cosy couch, nature, peace and quiet are always close by. 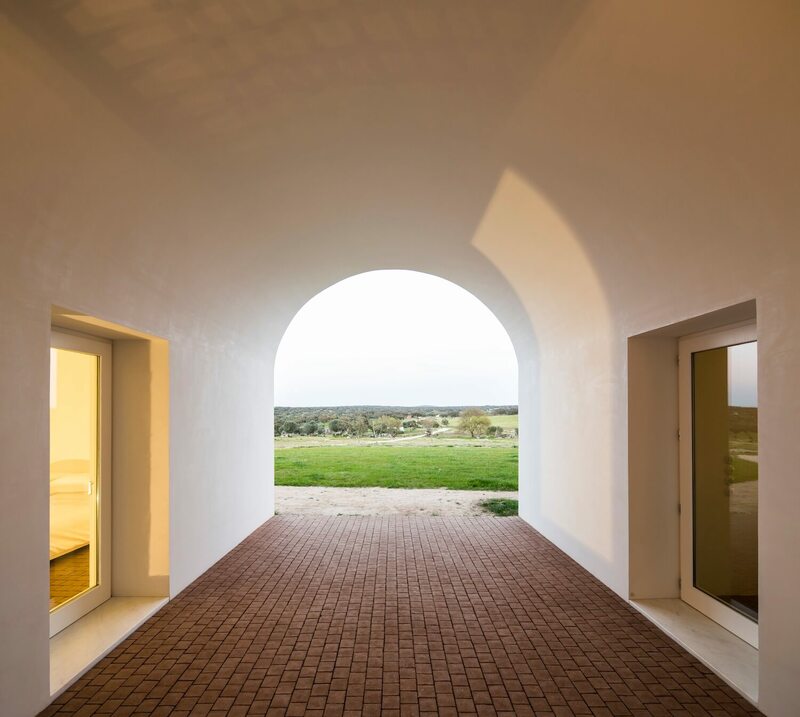 Beyond the beauty of its four white walls, Casa no Tempo is a mecca for lovers of the great outdoors, with the vast and yet thinly populated Alentejo on your doorstep. 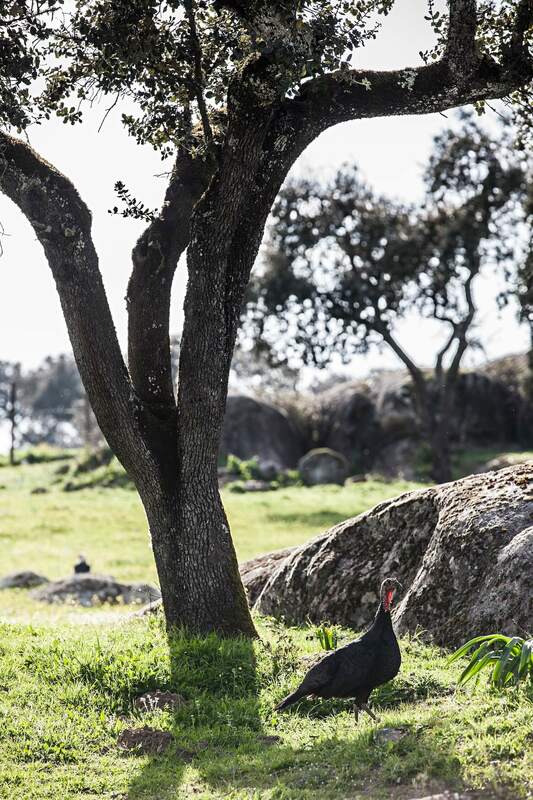 Located an hour’s drive south of Lisbon and north of the Algarve, you won’t find any hordes of tourists in Alentejo, but rather a spectacular, diverse landscape and a gastronomical goldmine in its own right. 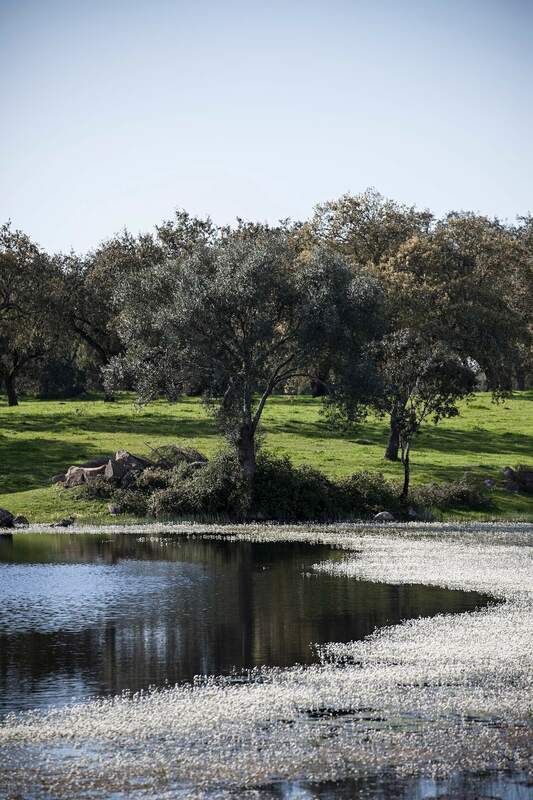 Guests can explore one thousand acres of cork trees, pastures, wild fields, dams, ponds, streams and brooks, or enjoy horse riding, fishing and star watching as well as exploring the nearby hilltop village of Montemor-o-Novo. 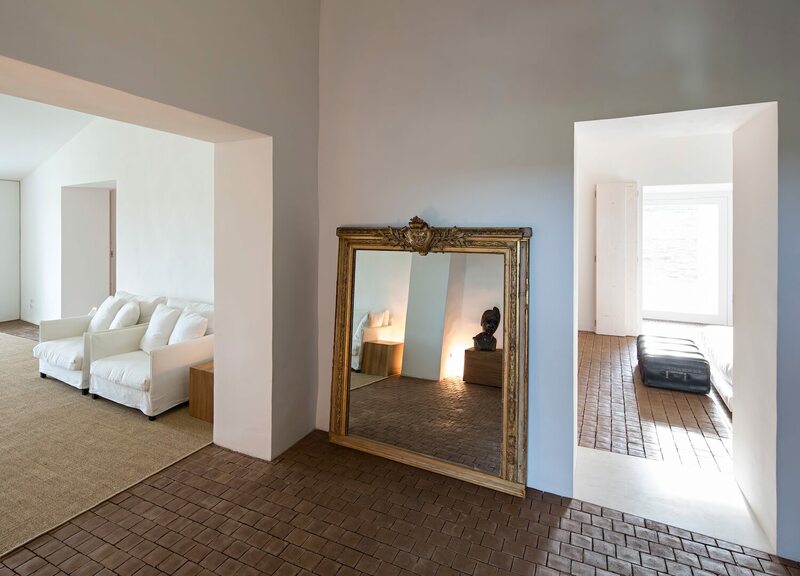 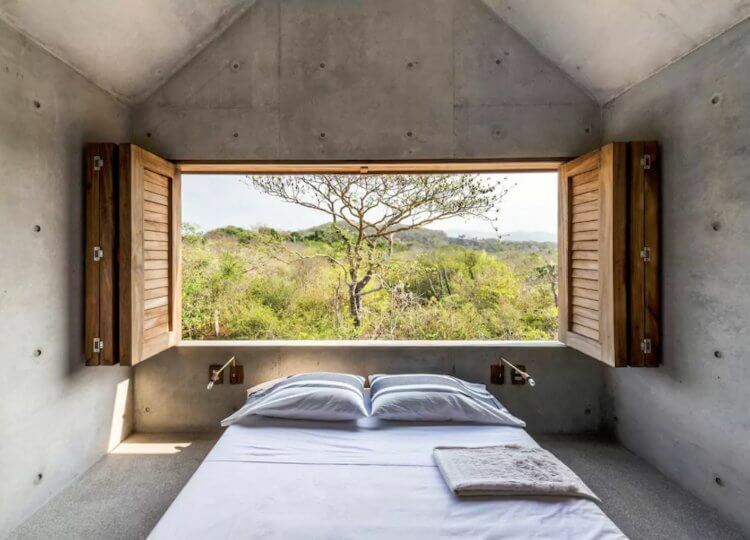 If there was ever a place you could go to forget about appointments and to-do lists, let go and lose yourself in the best possible way, Casa no Tempo would be it, and its mantra would be ‘take your time’. 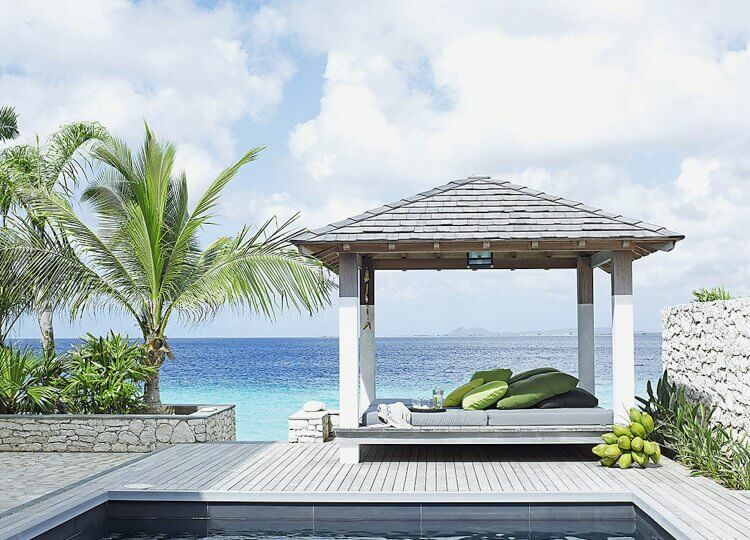 Whether you’re outside lounging by the 400 square-metre swimming pool, or inside nestled up on the cosy couch, nature, peace and quiet are always on-hand.